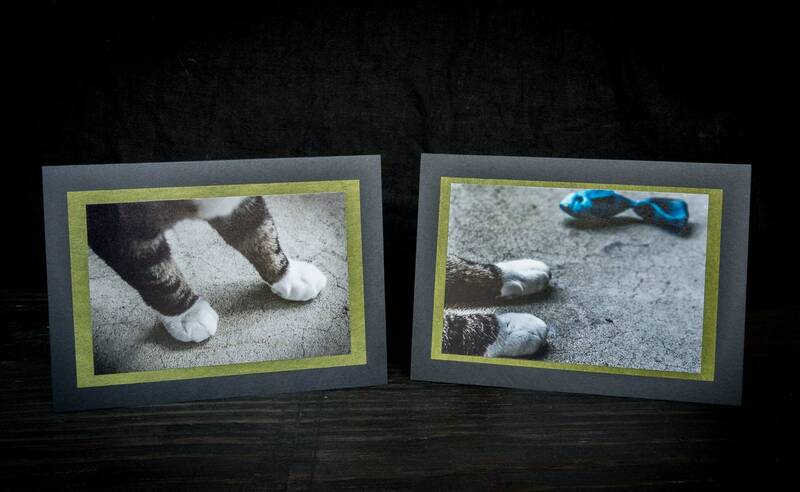 These 5x7 cards feature original photographs of cat paws . 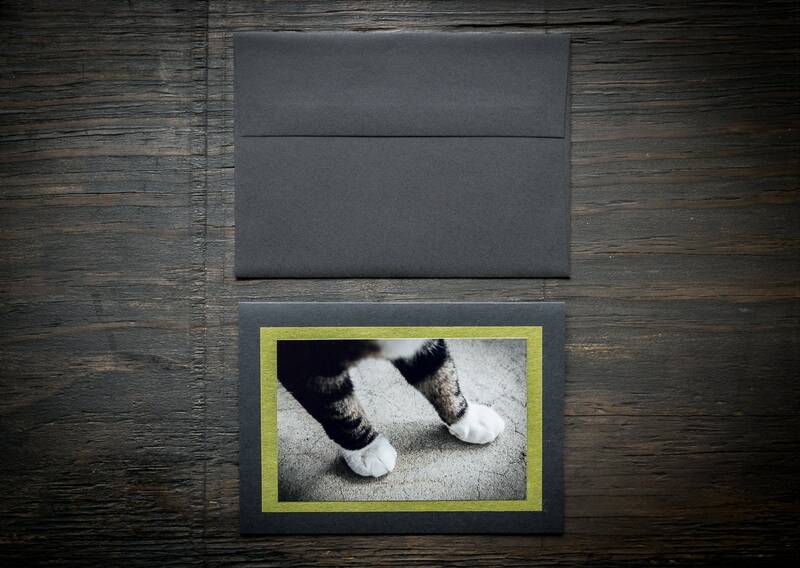 They are blank black cards, each with a matching envelope. They also come protected in a biodegradable sleeve. Regularly $10, this set is now on sale for $6. 'Just Struttin' ' and 'A Day in the Life' were taken at the Victoria SPCA branch. 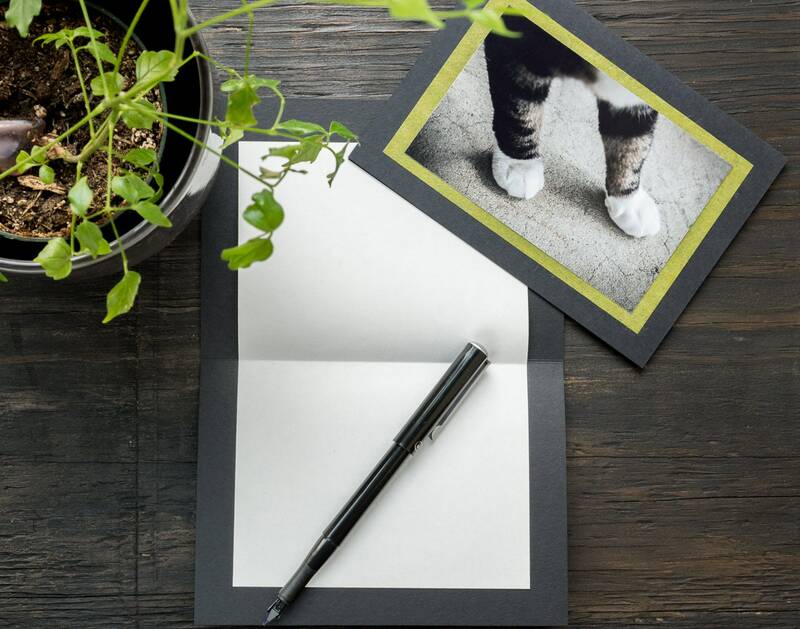 A portion of the total sale will be going to the BCSPCA, which also includes the Wild ARC (http://www.spca.bc.ca/branches/wild-arc/). Please note that due to differences in monitor calibrations, the colours seen may appear slightly different from screen to screen. 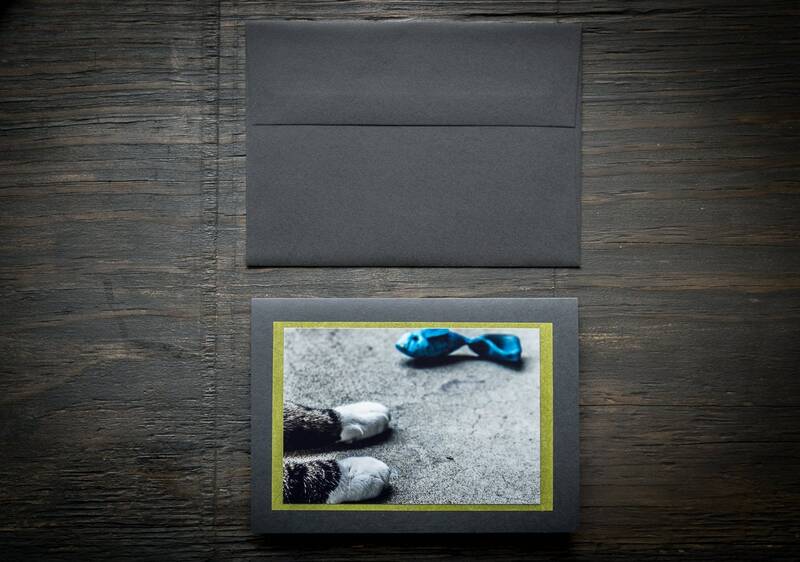 Also, that all other items in the images other than the cards and envelopes described above are not part of the purchase.